Back in July, a gas smelling drone was used to gather data on changing ocean temperatures and how they impact marine life. The autonomous drone, Edge, flew over the Pacific Ocean for most of June. Fitted with a thermometer, camera as well as a gas-smelling nose attachment that detects Dimethyl Sulfide (DMS), the drone collected massive amounts of data. DMS is a gas emitted by dying phytoplankton and can help scientists assess the health of the entire food chain. 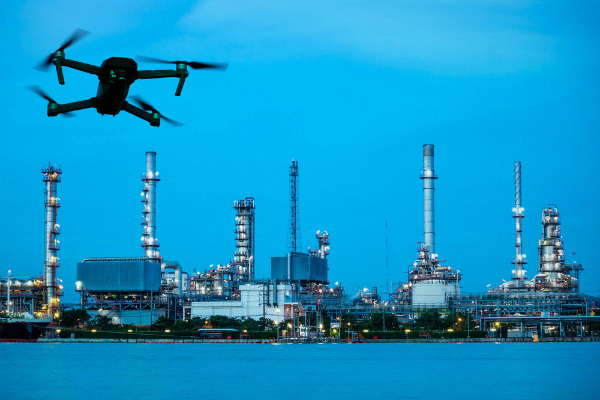 A research project underway at Rice University is focussing on drone technology that will enable them to sniff out toxic gases following an explosion, leak or extreme weather event, and map out a safe perimeter. The project has been boosted by a 1.5 million dollar National Science Foundation Grant and aims to not only safeguard first responders, but respond to disasters more quickly, limiting damage to structures and protecting assets. The project is not without its challenges (scaling sensors down to an appropriate size and weight for example), the future for gas smelling drones looks bright. If you are eager to get into the drone industry, get certified with Total RPA today. We are one of Australia’s most comprehensive drone certification academies and provide fully CASA certified drone training packages. View our course timetable or send us an enquiry about a tailored consulting package.